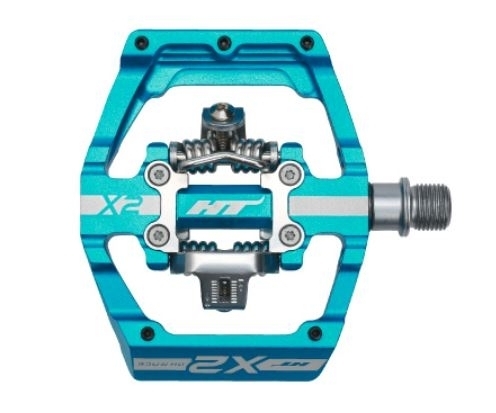 Product information "HT Components X2 Pedal Sky-Blue"
In addition to HT's own Click System, HT Components X2 Pedal also offers you a large contact area to better distribute the load even after long jumps and drops. Easy engagement and disengagement even under muddy conditions and an adjustable release hardness leave nothing to be desired. The IGUS bearings on the pedal axle ensure smooth running and long durability. Related links to "HT Components X2 Pedal Sky-Blue"
Customer evaluation for "HT Components X2 Pedal Sky-Blue"